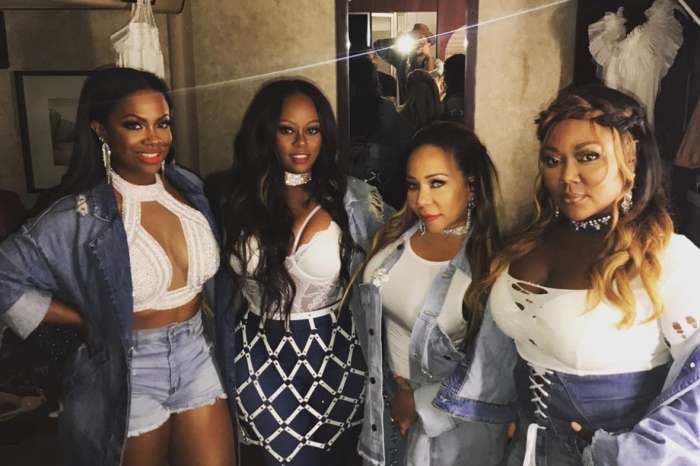 And the blame game begins, Nene Leakes is pointing the finger at Kandi Burruss for getting her fired from the Great Xscape Tour. 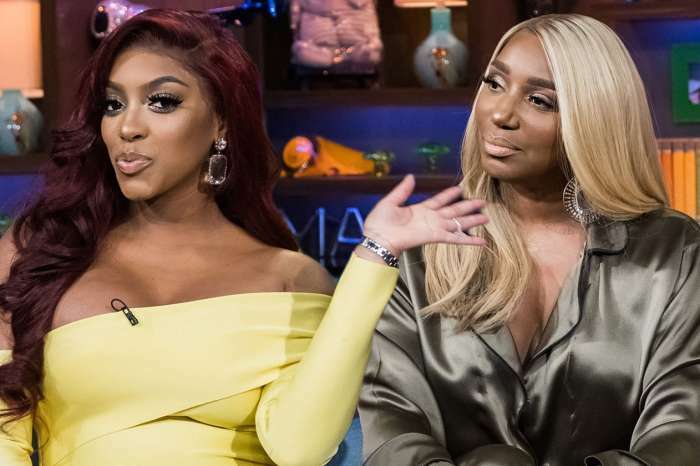 According to a source, Leakes believes that her Real Housewives of Atlanta co-star was the one who got her booted because she knows that great drama and scandals help sell tickets. 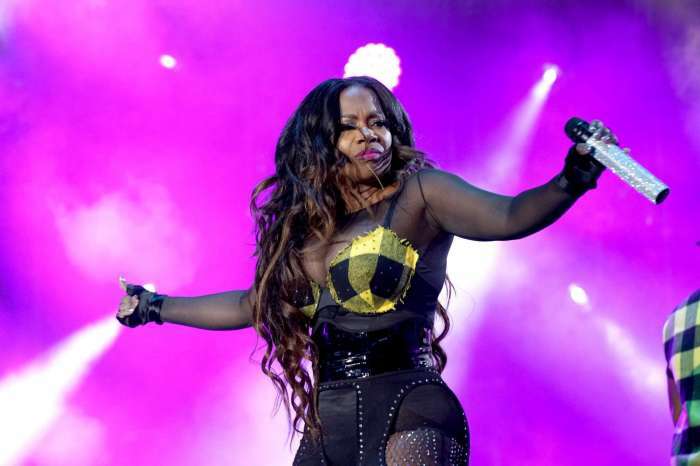 The former Glee star is adamant that the other Xscape members, Scott sisters LaTocha and Tamika, were willing to accept her apology and let her be part of the tour, but Burruss and her BFF, Tameka Cottle, stepped in and had her booted. A source close to Leakes said she is furious by what Burruss and Cottle did. 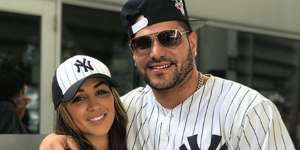 This development might bring more ratings for the new season of RHOA. WHAT IS WITH these pretentious, fake women and blonde hair????? Give it a rest… even Bo Derek gave up the silly, pretentious ‘corn-row’ hairdo. Be proud of who you are, stop pretending to be something you never will be. Grow up the heckler is not obligated to anything but you are to have some damn class. Class was left out, when you were upgrading your career, your house and wardrobe. You blame everybody. You’re a** is rude not funny, you have as much talent as a water bug..You people use reality TV, a good opportunity to gain financial wealth and that’s ok ,, But y’all started to believe that you had talent and that’s where you fk up..Some such as Kandi, and Kenya, they had their careers already so yes, they have talent. You jumped your rachet a** off the pole, for an awesome opportunity RHOA, and started a delusional cycle of false inclusion. You’re not talented. Take a note out of Rasheedah, book nurture your business before you’re out of business. Sign Bollywood Swinging. You deserved to be fired fool. God Bless Nene, but this desire to make a pass of yourself on TV comes back to bite you. It pays not to sell your soul for TV he’ll, Nene can go and talk about all that money she got. God Bless her husband! I feel that Land and Tiny did right by firing NeNe. She wants to play the victim after she done said some foul [email protected] I hope Atlanta housewives fire her. She nothing but a big mouth bully. Some Faces You See Going Up, Same Faces Coming Down? Kandi didn’t tell NeNe what to say that night. So how can you but the blame on Kandi Every body wants the light until the lights go out.